The use of Restrictive Housing poses some of the most challenging questions facing corrections professionals: How should correctional agencies manage their most violent and disruptive inmates? How can they best protect their most vulnerable and victimized ones? And what is the safest and most humane way to do so? 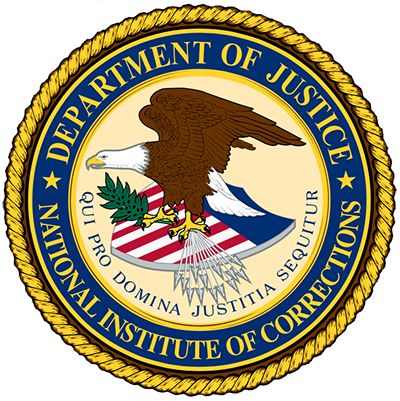 The Department of Justice (DOJ) and the National Institute of Corrections (NIC) define “restrictive housing” as a form of housing that involves three basic elements: removal from the general inmate population, whether voluntary or involuntary; placement in a locked room or cell, whether alone or with another inmate; and inability to leave the room or cell for the vast majority of the day, typically 22 hours or more. Restrictive housing takes many forms, and an inmate’s experience can vary considerably depending on certain external factors, such as length of stay, conditions of confinement, and degree of social isolation, as well as factors specific to each inmate, such as age and psychological resiliency. This training broadcast will: examine restrictive housing practices in your agency and compare and contrast those with the DOJ Guiding Principles; explore the Guiding Principles and implications for restrictive housing practice and conditions of confinement; use interactive activities and action planning to determine strategies for your agency to safely reduce the use of restrictive housing in your agency; and share promising practices and recommendations for the implementation of the Guiding Principles. This broadcast will answer the following questions: How should prisons and other correctional facilities manage their most violent and dangerous inmates? How can they best protect their most vulnerable and victimized inmates? What is the safest and most humane way to do so? 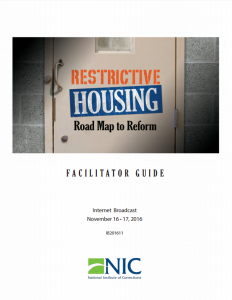 Why did the Department of Justice create a set of Guiding Principles on the effective use of Restrictive Housing? How can we use the DOJ Guiding Principles to self-evaluate our current agency practice?